It's great to have opportunities! and we are blessed by how many wonderful ones have come our way during the course of the Gone Fishin show. Recently we embarked on a weekend away filming the Taranaki Kayak Fishing Competition, which is an annual event. 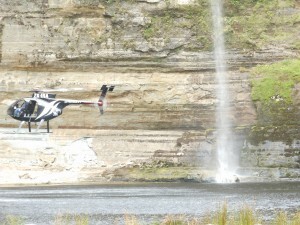 Taranaki Tourism eagerly got in behind this opportunity by supporting us in filming the region while we were there. And the almighty must've thought that was a good idea too, as the weather turned it all on for us! Saturday morning found us at Precision Helicopters pad ready for a little flit about the region... which turned out to be absolutely spectacular, and much more of a look about than originally anticipated! I could write endless lines about the trip, however, I think that "Matt Newton" our Pilot best sums up the day, so for his story. 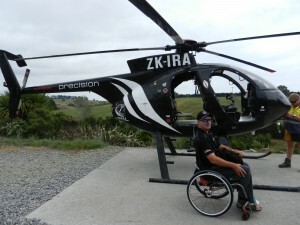 We highly recommend a look over the region through Precision Helicopters as a must do opportunity. Sunday looked like a wash with rain pouring heavily outside our cosy hotel unit. However, we decided to embark on a game Fishing expedition regardless! and made our way a little later than hoped, to meet Steve and Mike who volunteered to host us on their boat for a half day on the briny. The ocean was a gentle rolling wash and anticipated the right scene for the big billed fish. Firstly, we warmed up on a few chunky albacore tuna stashed quickly away, and lines out ready for the lure smashing we were hoping for. Not to be though, as all too quick the morning slipped away and we were headed for shore. It was dissappointing to be leaving for our next activity at a time when many a boat around us was hooking up to the target species. Then off to join the main event being the TARANAKI KAYAK FISHING CLASSIC, which is in its 6th year and is the biggest kayak fishing competition in New Zealand. The event is becoming increasingly popular, attracting attendance from the best in kayak fishing including Rob Fort and Steve Tapp. Registrations had taken place the day before on Friday and were in the vicinity of 210 participants. Butlers Reef, Main Rd, Oakura, supported with the venue, and their facilities were excellent. 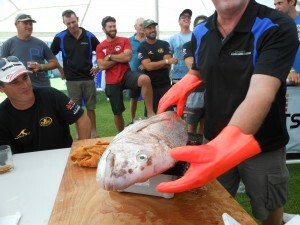 Fishing commenced Saturday, with prize giving on Sunday followed by a fish auction at 5pm where people can bid for fish, and watch the professionals from Egmont Seafood’s fillet the catch for taking away or have Sushi Ninja turn it into sushi. $3,450.00 was raised for LEGASEA and COASTGUARD from the fish Auction. 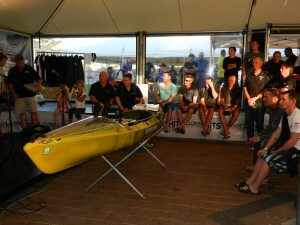 Prizes included; rods, reels, carbon fibre paddles, various other fishing items from sponsors including Viking Kayaks, Fin Nor, Hunting & fishing, Bite, Repco, ..the list of wonderful sponsors goes on..http://www.kayakfishingclassic.co.nz In total approx. $30,000 worth of prizes. 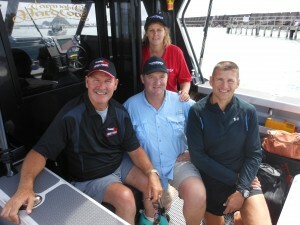 The early Bird Draw of a $2000.00 flight centre voucher won by Bianca Gous; The Major in all Draw was a fully Fitted out Viking Kayak won by Kevin Pilcher; The manufacturers cup won by VIKING no1 team; Top team was GURNARD HUNTERS. $3,450.00 was raised for LEGASEA and COASTGUARD from the fish Auction. 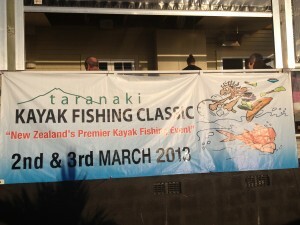 http://www.facebook.com/pages/Taranaki-Kayak-Fishing-Classic/136922319734106?ref=stream. With Thanks to Garry and the Committee for inviting us down, and all their efforts in creating a remarkable event. Comfortable, stress-free with excellent facilities, restaurant and conveniently located close to the CBD. Great wheelchair Accessible bedroom and bathroom faciltities. or for something different try an afternoon at Mikes Organic brewery - NZ’s oldest organic brewery. Enjoy homemade pizzas and great beer. Taranaki Mineral Pools: These superb mineral pools, originally named the Tarawhata Historic Mineral Pools, were built in the early 1900s, and rebuilt in 2000. 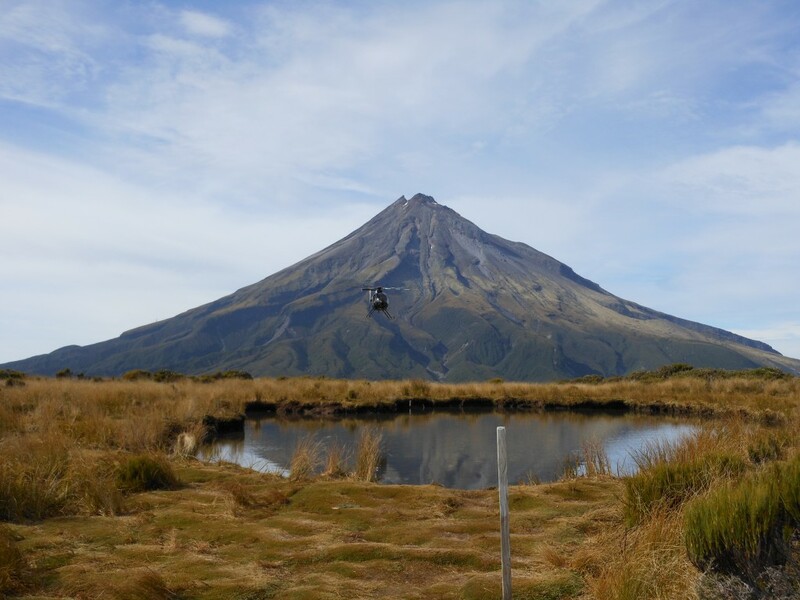 The mineral water flows through artesian pressure from a 3004ft well (1km) below Mt Taranaki, and has been tested and aged at approximately 29,000 years old. It has wonderful qualities for relaxation and stress-related ailments, and is precious health water for drinking purposes. Wheelchair accessible. Call to make a booking. New Plymouth Coastal Walkway: The Coastal Walkway is an 11km path that forms an expansive sea-edge promenade stretching almost the entire length of New Plymouth. Popular for those on foot and by wheel – you can enjoy the view of the dramatic west coast, the walkway connects many popular recreational areas and the central business district to the sea.